Printers that require a wired connection are limited in placement options and as a result, the office must be laid out around the printer. Wireless printers have no such limitations and can be put in the most opportune and convenient spot in the office. They also have the flexibility to be relocated to anywhere in the office if space is at a premium. The option of password-enabled access and encrypting the network is a necessity in many businesses in order to prevent it from being hacked or confidential documents from being leaked. Wireless printers generally offer the same type of security features as their wired counterparts. Wireless printers will work with a multitude of different mobile devices. So, if the meeting is running over and the weekly status report needs to be printed, it can be done from any smartphone or tablet within the network. It is clearly less expensive to have a single printer shared by everyone rather than a printer on every desk, but why is a wireless network more cost-effective than a wired network? Cables and connections are expensive and wireless printers reduce the need for them. Additional network jacks will not be needed either, which can be expensive to install for wired networks. 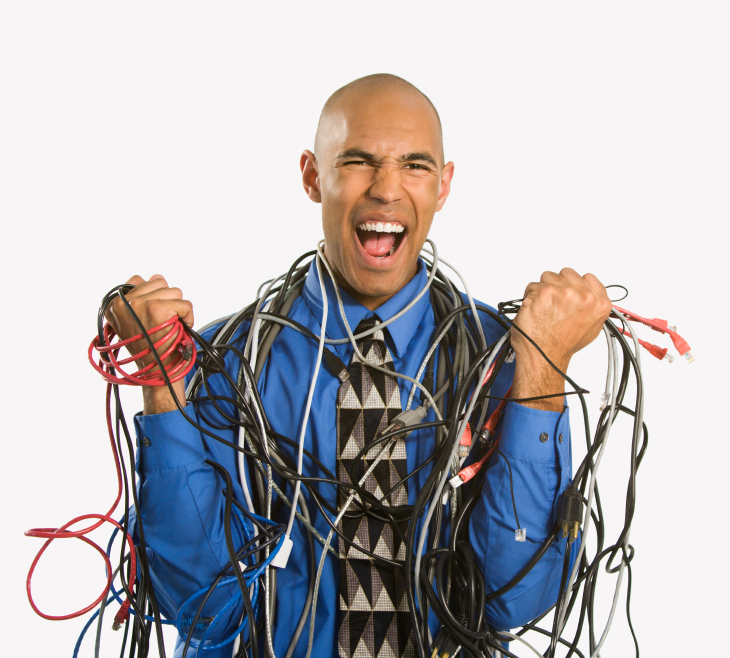 Wires are not only unattractive and space-consuming; they can also be a safety hazard. If each computer has to be hard-wired to the printer or network, there may be cables running along the walls and the floors. Clutter in the office can hinder production and be unsettling for the employees that spend 40 hours a week surrounded by wires. A wireless printer removes the need for this excess, requiring only the power cord. The rest of the connection process is done through a signal that cannot be seen or felt, but expands across the office. Rather than communicating with a hub PC like wired printers do, wireless printers can communicate with each computer that is connected to the network, making it very easy to print from anywhere in the office. Is your office more than one story? No problem, a wireless signal can penetrate walls and ceilings. The range of Wi-Fi is constantly growing as this young technology grows, so even if you are sitting in the back corner behind the water cooler, your computer should be able to connect easily with the wireless printer. Well, there you have it, the top 6 benefits of wireless printing in the workplace. Wireless printers are the best option for an office, hands down. What are you waiting for?